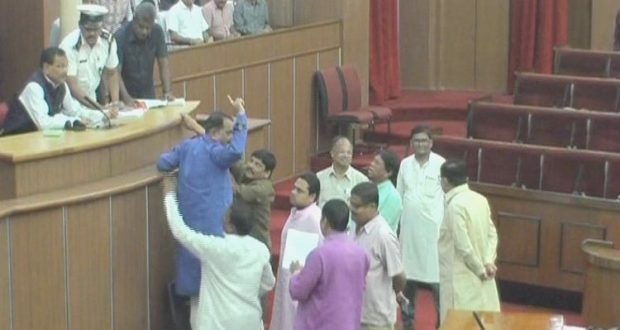 Bhubaneswar: 12/9/18:The Question Hour in Odisha Assembly was washed out for the sixth consecutive day today amid a ruckus by members of the opposition parties, who demanded a clarification from Chief Minister Naveen Patnaik over the recent scams including the Omfed and Sapling scams. “The Agriculture Minister has already acknowledged irregularities in sapling plantation project. He should now reveal the names of persons involved in corruption,” party’s chief whip Taraprasad Bahinipati told reporters outside the Assembly.